Prepare for National Popcorn Day! 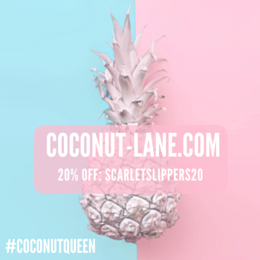 With it being National Popcorn day on the 19th January, I thought it would be fitting to write this post just in time for you to purchase all the necessary goods for the day! I love how there is a 'National Day' for lots of fun things now, making each day of the year exciting. 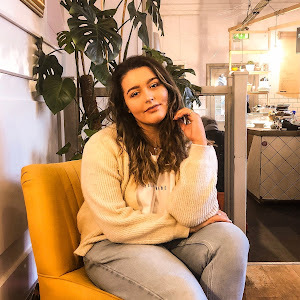 Popcorn day is great for me because I'm absolutely obsessed - I'll always opt for a large box of sweet popcorn whenever I take a trip to the cinema. 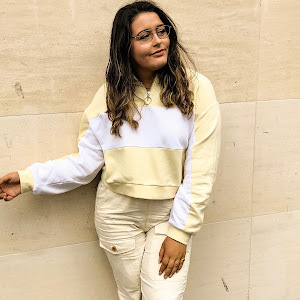 I just cannot resist sweet snacks, especially popcorn so I thought I'd share this little post about a new brand I've been trying, testing and TASTING so you can prep yourself for the big day on Saturday! If you're unaware of the brand, Popcorn Shed are a company that sell a range of gourmet popcorns - catering for a versatile range of people, offering both sweet and savoury snacks. From berries to cheese, salted caramel to chocolate, there is something at Popcorn Shed for everyone! 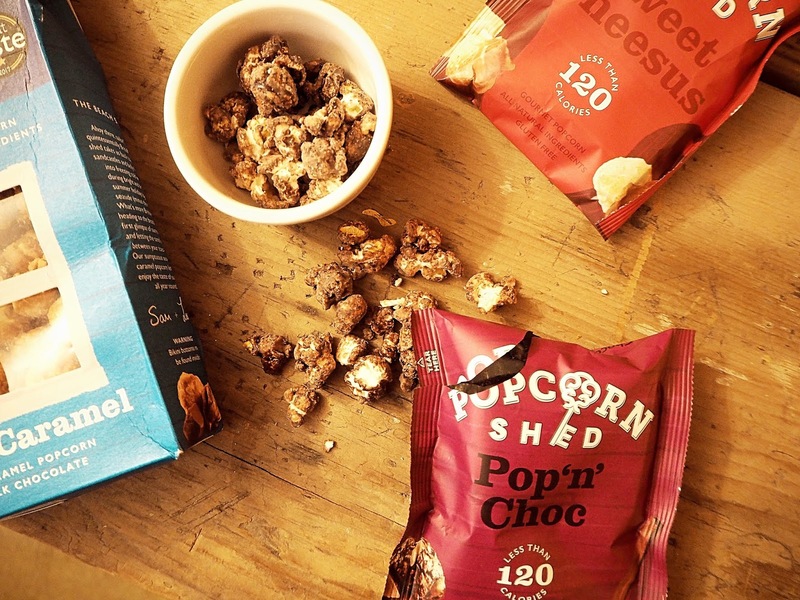 The award-winning brand have a generous range of 7 different flavours sold in small packets, or even boxes/jars if you are looking to give the popcorn as a gift! I love how gorgeous the packaging is - the boxes in particular have a cool display. Brightly coloured boxes and a little window to view/tempt yourself with is all you need to seduce you into a movie night with your pals or partner! I also think the little packets are ideal for on-the-go; they are the perfect travel size to pop in your bag for a midday snack and they're only 120 calories too! In terms of taste, I absolutely adore the range available but in particular, I'm drawn to the sweeter snacks. I'm a lover of sugar and the biggest chocaholic, so there is no surprise that the 'Pop'n'Choc' are my favourite out of the flavours. 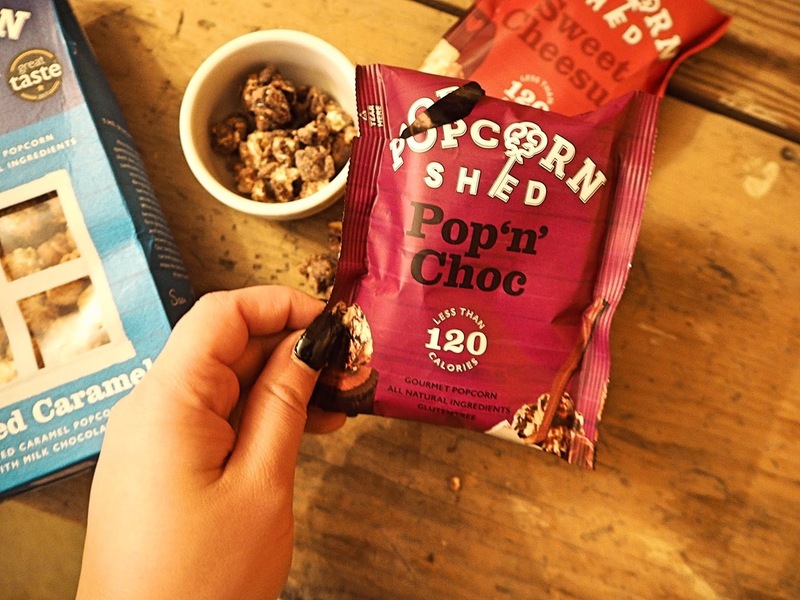 The popcorn is deliciously coated with a thin layer of cocoa powder, giving the treat an extra sweet taste for choc lovers like me! 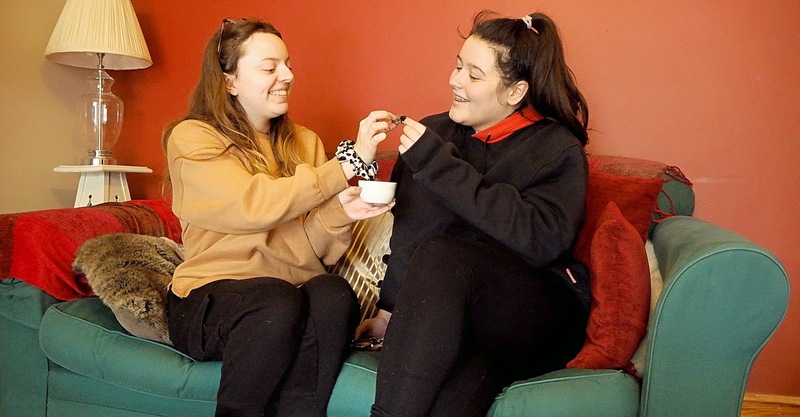 My bestie is the opposite - she loves savoury snacks so she was delighted to indulge in the savoury options. 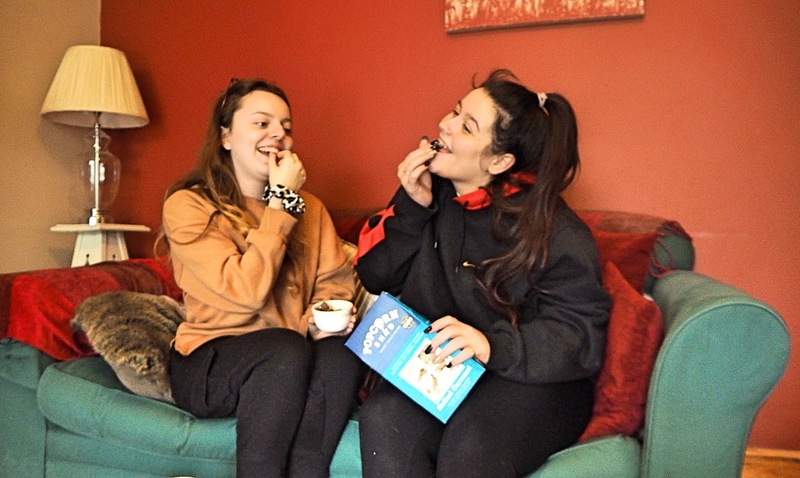 Hattie adored the 'Say Cheese' packet, whereas the chocolate one was my favourite; thus, showing the versatility of the products and how they work great for different tastebuds! From presentation to quality, I would highly recommend Popcorn Shed to anyone wanting to try some delicious popcorn with a twist. 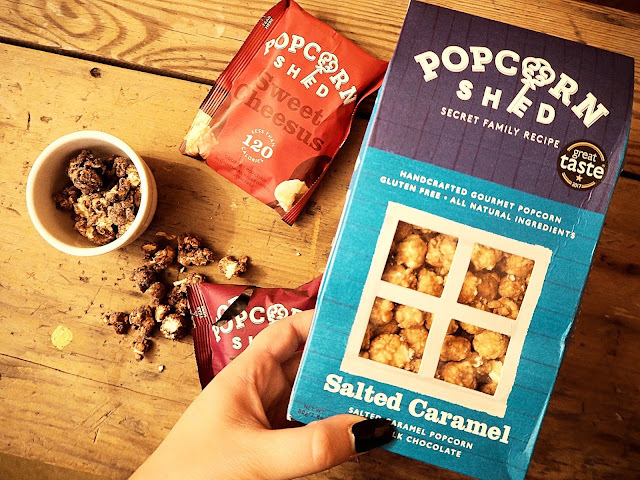 They are also the perfect gifts so if you know a popcorn lover out there or just want to celebrate National Popcorn day, head over the Popcorn Shed to treat yourself today! 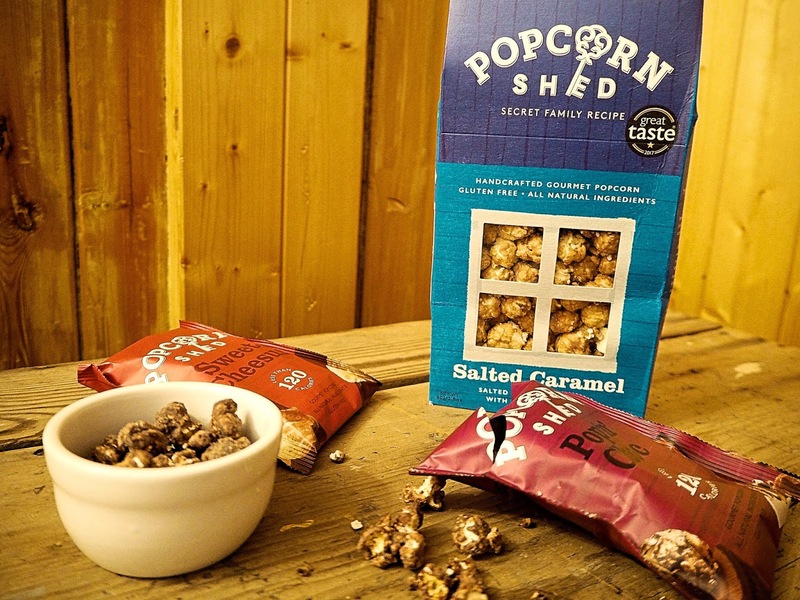 Have you tried Popcorn Shed products before?